How Can Our dentist help your children? At Parkway Smiles Dental Clinic Calgary NW, we understand that good oral health should play an important role in your child’s life. The Canadian Dental Association recommends that children should have their first dental checkup either shortly after their first birthday, or following the appearance of their first tooth. Ensuring that your child’s teeth get off to a good start and continue to be healthy is essential for their continuing dental and speech development. 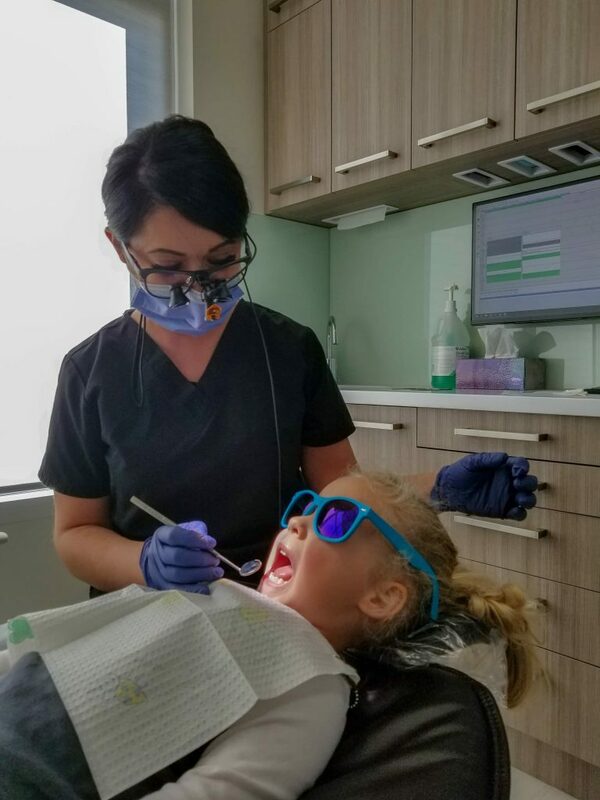 We understand that your children may be a little apprehensive about visiting a dental office, which is why we have worked incredibly hard to build a friendly team that provide a comfortable and reassuring experience for both you and your children. Introducing your children to the world of dentistry in a pleasant environment will give them a positive attitude towards dental health, resulting in an eagerness to take care of their teeth. We also offer a first-time happy visit in order to introduce your child to our Calgary northwest dental office and staff in a fun and relaxed way. This is important, as it creates a long lasting positive impression, making your child more open to further visits and treatments if necessary. A lifetime of good dental health begins with the first visit. We always strive to make sure that our dentists provide your children with the best visit no matter what treatment they need to have done. Although most children feel anxious about visiting the dental office, some children find the experience a little too much to bear. At Parkway Smiles Dental Clinic Calgary NW, we know that every child’s dental health is of equal importance, and therefore we offer the possibility of providing a mild form of sedation using laughing gas. This practice is a safe and effective way of ensuring that every one of our younger patients receives the level of dental health that they deserve. It’s always recommended that you and your children have check-ups every 6 months. This allows us to detect dental problems before any further symptoms develop. Routine check-ups also give us the opportunity to boost your oral hygiene by providing routine cleaning. If you have any further questions about your child’s dental health, or want to book a family appointment, then contact us now by calling (403) 452-2833 or by emailing us at [email protected] We strive to answer all inquiries within 2 business hours so you can rest assured we will get back to you as soon as possible!